The human mind is highly responsive to visual stimuli and colour is one of the major defining factors in that response on both conscious and sub-conscious levels. 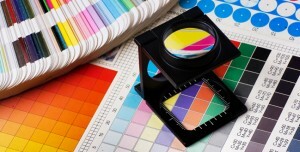 Colour is an important element in a brand’s visual identity. Think of iconic brands whose logos have withstood the test of time. Certain colours are immediately associated with various brands. Think Apple, FedEx, American Express – their consistent use of the same colours exponentially increases people’s recognition of these brands. While choosing a colour scheme for your brand, various factors need to be considered. Some colours have natural connotations and it’s a good idea to be aware of them. All colours, including black and white, have importance for logo design. You need to pick your colours carefully to enhance specific elements of the logo and bring the right nuance to your message with the use of shade and tone. Some colours have cultural connotations and it’s best to be aware of them and steer away from anything that might be considered controversial. It’s a good idea to create a mind map which explores different tones and ideas for a project, and choose colours that are in sync with your ideas. In general, your colour scheme should have one primary colour and one or two accent colours. You might also opt for contrasts or varying shades of one basic colour. Because your brand’s colour scheme is so vital to your brand image, it’s best to go to a professional designer who can develop brand colours that will complement and enhance your brand image. The designer will also be able to suggest how the basic colour scheme can be adapted to different backgrounds and yet retain a strong brand identity. For instance, Coca Cola appears in white on a red tin and a brown bottle but in red against a white background. There’s no conflict with the brand image when used with these backgrounds. choose blue for his Facebook logo because he is basically colour blind and blue is the only colour he can see! Whatever the colour scheme you finally decide on, conduct a market research study among your target audience. The findings will be helpful and will enable you to avoid costly mistakes later. How consistenly you use your brand colours (in the right shades) will affect their recognition. The colours finally chosen should be sacrosanct unless there’s a really good reason to make a change.